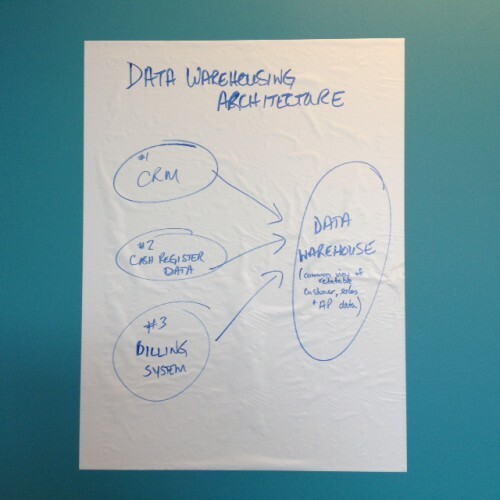 IAG uses static sheets for all of our sessions. Instead of carrying/shipping large cumbersome stands for flipcharts, static sheets stick to any flat surface without the use of tape, tacks or pins.You now have a flip chart type writing surface anywhere you need it. 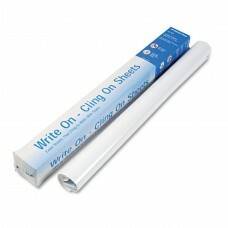 They are 23.5″ x 31.5″ writable sheets that come in a roll ready for use. Erasable markers can be used and erased as required. Can be re-positioned again and again without tape, tacks or pins. Adheres statically to any flat surface: drywall, glass, wood, metal, wallpaper, etc. Surface wipes clean when you use dry-erase markers or for a lasting message, use a permanent marker. Perfect for presentations, training, workshops, brainstorming, signs and messages. 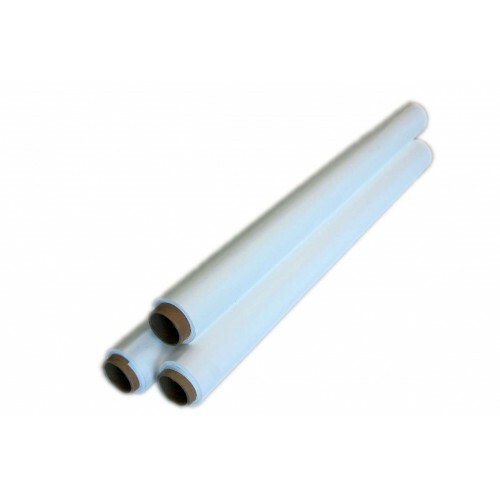 Sheets are lightweight and perforated, so they tear off the roll cleanly.